More than 48,000 people can’t be wrong. Can they? Apparently the International Olympic Committee (IOC) thinks so. Its president, Jacques Rogge, delivered that message in the form of a resounding “no” to Israel’s request for a minute of silence in memory of the Munich 11 at the London Olympics this summer. Israel’s Deputy Foreign Minister Danny Ayalon, had asked, along with Munich widows Ankie Spitzer and Ilana Romano on behalf of the families, that finally, after 40 years, the IOC officially recognize with a simple, eloquent silent tribute what had happened in September 1972. Members of the Palestinian terrorist group Black September had sneaked into the Olympic Village on Sept. 5, 1972. There was little security; accounts describe the breach as ridiculously easy. They went to 31 Connollystrasse, the apartment building where the Israeli men’s teams were housed. Eight terrorists managed to take 11 members of the Israeli delegation captive. A day later, after failed negotiations and a botched rescue attempt on the part of German authorities, all 11 Israelis were dead. JCC Rockland, which is hosting the Maccabi Games for the first time this August, only days after the London Olympics end, has dedicated the memory of this annual teen sporting event to the memory of the Munich 11. There have been several projects along the way dedicated to these men — coaches, athletes and referees. These include a hunger relief tzedakah project, Change4Change; a memorial wall near the fitness center mounted with photos and biographies of the men; “baseball” cards of the same; a memorial sculpture; and 11 events leading up to the Games, the last of which will be the opening ceremony of the JCC Maccabi Games. But most impressive of all is the one that requires only that you push a button on your computer and say, “yes,” to that minute of silence. The online petition at Change.org has garnered more than 48,003 signatures as of this writing, which I find very impressive for a cause four decades old. “I can’t think of an issue that seeks to make good on something that happened so long ago,” says Matthew Slutsky, the director of strategic partnerships for Change.org. “It’s truly viral.” A few years ago, Slutsky said, people felt they had to get millions of supporters for change to happen. But Change.org has seen online petitions with far fewer signatures force companies and governments to address issues that people care about. “It’s not about a million people. It’s about the right people. It’s about people all over the world. This petition, which he feels “hits people in the gut with a ‘why the hell not’” aspect, fits the bill, with signers from the United States, Israel, Argentina, France, Italy, Australia, Mexico and more. So how is it that this many people demanding justice can still be wrong? Apparently, they are — at least in the IOC’s estimation. The IOC has disallowed any official recognition of these Israelis who died, deferring to fears that the Arab countries will boycott the games. Suddenly the organization seems to have co-opted the private memorial ceremonies that Israel has felt obligated to host over the years. Suddenly these are official? Well, yes, officially Israeli. The Munich 11 family members have been asking for public recognition of the massacre since the 1976 Olympics in Montreal. Every four years, the IOC refuses. Now the organization wants to claim it’s been doing something all along? There have been nine Olympic Summer Games held since 1972. The IOC only began attending these ceremonies in more recent years. 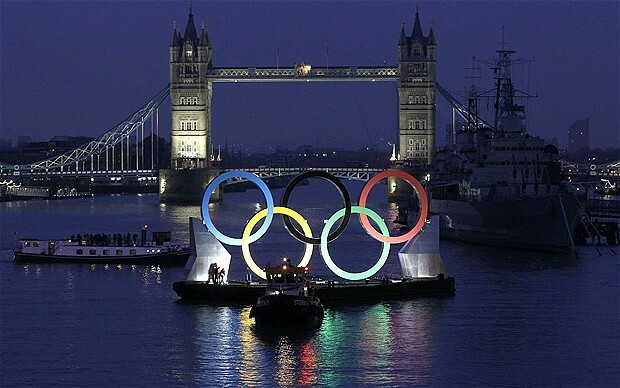 Rogge seems to think that by attending the Guildhall event in London, he and the IOC are off the hook. This is not what Ankie Spitzer and the families of the Munich 11 have in mind. They know they can count on the Israelis to do the right thing for their dead. What they want is one minute of silent recognition. And they want it to be held during the opening ceremony of the Olympics. They have gone so far as to say that there is no need to mention the words “Jew” or “Israeli.” They want only that their fathers, sons, brothers and husbands be recognized as the Olympic competitors they were, who came to participate in games dedicated to fair play and peaceful competition, but who instead came home to be buried. They deserve something that takes into account that this happened in the most public venue on earth, on the Olympic grounds, while the games blithely continued. They deserve recognition that takes place on that same Olympic stage. What happened in 1972 was unacceptably heinous, and should never occur again. The terrorists who orchestrated the massacre shifted how we all view the world in unlikely and horrible ways. By hijacking a globally televised event to broadcast their message, they brought us into the modern world of terrorism, where fear encroaches on liberty and we begin to question the very value of that liberty. In short, it changed the way we looked at the world. And if you don’t think the IOC believes that recurrence is a possibility, then those putting together the London Olympics likely wouldn’t be spending upwards of $900 million on security for this summer’s games. This cost includes, among other “wartime” measures, missiles and snipers on East London rooftops and a warship on the Thames. We owe it to the memory of the Munich 11 to believe that this is what the Olympics could and should be about. Certainly, as Ankie tells it, this is what her husband, Andrei, believed, that athletes could come together in sport and put aside their countries’ differences. Shouldn’t that count for something? The IOC has maintained that this simple minute of silence, which clearly is not so simple, would bring politics to the games. That’s laughable. The games are mired in politics and this refusal is one of the worst examples. Do I need remind anyone of the United States boycott of the games in 1980 when the former Soviet Union invaded Afghanistan? Or the Soviet Union returning the favor in 1984 and boycotting the Los Angeles games? And we can give a nod to how Hitler commandeered the games in 1936 to be a showcase for Aryan racism that miraculously was upended when the United States runner Jesse Owens took gold. Because the Olympics take place every four years, there will never be a summer games to take place on what we’d normally think of as a significant anniversary like the 50th. For that reason alone, the 40th anniversary looms large. These men died as Jews and Israelis. Their loved ones will mark their deaths each year no matter the anniversary, no matter an Olympics. But it is time for the IOC to make things right. These men need to be remembered now, as human beings. And more than 48,000 of people around the world say so.